Now come the real questions; Is it really better than nothing? Is it possible to get negative effects from the stones? Is it Jyotish quality? These questions deserve an answer but, unfortunately, most of them aren’t “yes” or “no” answers. Diamonds are great because there are very few treatments or synthetics on the market. This means, if you have a diamond, it is probably 100% natural and has not been subjected to any of the stresses or treatments that colored stones are often subjected to. There are also wonderful grading standards put in place by the Gemological Institute of America (G.I.A. ), which makes outlining the quality of a diamond much easier. For Jyotish or Astrology diamonds, or any stone for that matter, the ability of the light to pass through the stone is paramount to effective energy in the stone. A stone with inclusions that inhibit the flow of light is not going to give you a pure source of energy. VS1 clarity or higher (IF-VS1), on the G.I.A. scale, is a safe parameter to determine whether you will have an active and effective stone. Color in a diamond is caused by trace elements, such as nitrogen, and the more trace elements, the more color. D through G color diamonds are going to have the best and purest diamond energy. The closer a stone is to colorless and flawless, the higher the degree of energy that the stone will have. 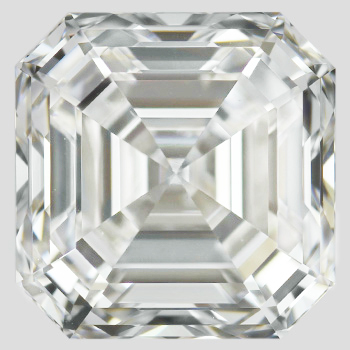 The size of the stone doesn’t have to be right at 1.00ct. If you have a smaller stone with very high color and clarity you should absolutely be getting some effects. How much? There’s no real way to answer that other than to reflect on the energy you feel and analyze the predicted results. So what about Grandma’s ring? Getting it checked by a graduate gemologist will let you know if your stone falls in the criteria for Jyotish (Vedic Astrology). If it does, even if it’s in a setting where it doesn’t actually touch your skin, it should have beneficial energy for you. If it doesn’t meet this criteria, well, you can probably wear it as a beautiful piece of jewelry with perhaps some small effect, although likely not the kick your astrologer is recommending for you. The same goes for earrings, which are typically much lower quality stones than those used in rings. Dazzle the audience but keep in mind that for really powerful cosmic energy, going with quality is going to trump size and style every time. Next Post Gemstones are amazing.